Farmers who claim their lives were blighted by sheep dip poisoning ramped up their campaign for justice with the launch of a new group aimed at raising awareness of the issue. The scandal, branded ‘one of the biggest medical cover ups in history’ by members of the newly-formed Sheep Dip Sufferers Support Group, has been brought to the attention of MPs, including Shadow Health Secretary Andy Burnham. Mr Burnham, who was instrumental in the launch of a full inquiry into the 1989 Hillsborough football disaster, told those campaigning for justice regarding organophosphate (OP) poisoning to form a single group in order to have a stronger, unified voice. Mr Rigby, who was at the initial Sheep Dip Sufferers Support Group event in Gisburn, Lancashire, last week, said awareness and help for people suffering with a disability was standard in today’s society but there was little awareness of people sensitive to OPs. With OPs used in sheep dip from the 1970s onwards, campaigners claimed there were potentially thousands of farmers affected by OP poisoning. 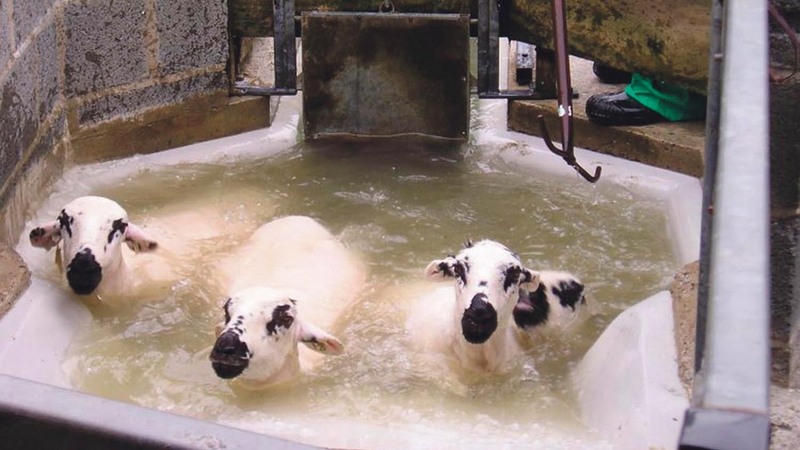 Sheep dipping was required by law and farmers explained there were few or, in some cases, no health and safety guidelines accompanying the chemicals. Most of those involved in the group had to give up farming due to illness as a result of OP poisoning. Members of the group were hopeful for an adjournment debate in the House of Commons on the issue of OP poisoning in the coming weeks. Mr Rigby has also submitted a Freedom of Information request for disclosure of documents related to the chemical and its affects. Mr Burnham has previously claimed it would be hard to launch a full public inquiry into OPs, but disclosure of documents relating to the chemical’s use was an important first step. The meeting was also attended by Brenda Sutcliffe, Littleborough, Rochdale, who has campaigned tirelessly for justice regarding OPs and has long claimed the chemical contributed to the death of her husband, Harold.